The British Broadcasting Corporation (BBC) has released a new update for its iPlayer App on Windows Phone with a major visual overhaul. The iPlayer App for Windows Phone was first released in 2013 but the features were lacking as compared to its iOS and Android App. With this update the App has a new interface feature which works on internet connection. So even the connection is slow, still you can stream content from the App. The latest release of the App makes it easier for an App user to enjoy their favorite show while they are moving. Another major change in the new iPlayer is radio content which was there on the previously available version is missing in new version. BBC is now focusing majorly on offering a greater TV viewing experience for their users. 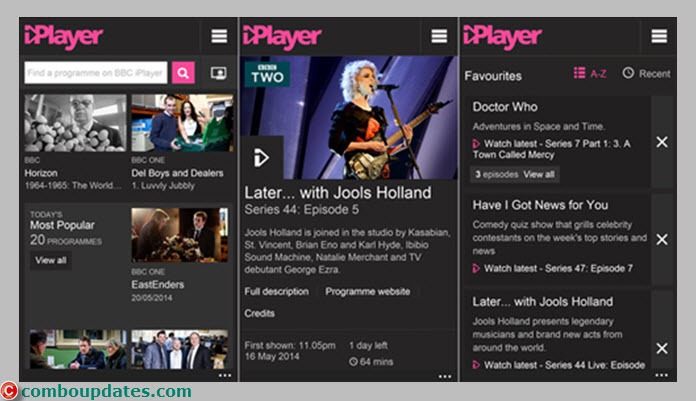 BBC stated that their iPlayer Radio team is working on a new similar app with optimized listening experiences. Though the updated App is much better than the old version, its still lacks in certain area and need to improve it. The way BBC is working on its App, users can wait for another improved update shortly. You can download this awesome App from Windows Phone store here.